As the name suggests, hotel Indrapuri successfully creates a royal staying experience for all its guests. The rooms are adorned in regal and warm colours, and strategically designed so that they can be naturally lit during the greater parts of the day by the large windows provided in the room. Some of the rooms are also provided with personal terraces where visitors can enjoy the outdoors. The bathrooms have high quality fittings with tiles on both the floors and the wall. 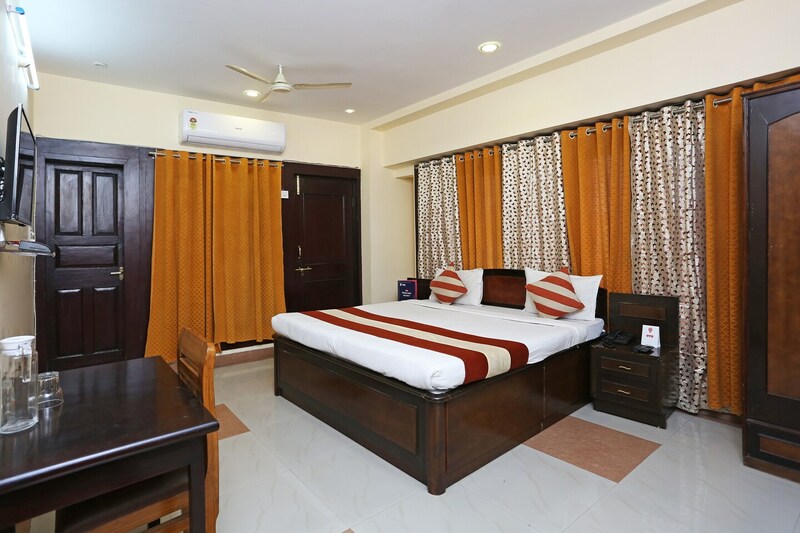 The hotel offers free WiFi connectivity, a dining area and laundry service. The front desk service is amiable and the hotel is pet friendly.